GP supervisors are the lifeblood of GP Training… without them there simply wouldn’t be a training program. 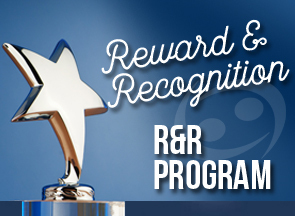 GPSA recognises the hard work and dedication of GP supervisors through the Recognition and Reward Program. In 2016, 58 GP supervisors were recognised nationally, having provided over 10 years service and dedication to nurturing the next generation(s) of family practitioners. They are being recognised for their commitment to providing the very best care to patients whilst supervising, inspiring and supporting the next generation of GPs and the future GP workforce. So far this year, over 28 GP supervisors have been recognised. GP Supervisors are highly trained specialist GPs who oversee the training of Australia’s future family practitioners in an apprentice-based model; shaping, guiding and mentoring the professional behaviours expected of General Practitioners before they can be vocationally registered. GP training practices and supervisors must be accredited by the Royal Australian College of General Practitioners (RACGP) and/or the Australian College of Rural and Remote Medicine (ACRRM) to train GP registrars engaged within the Australian General Practice Training program.